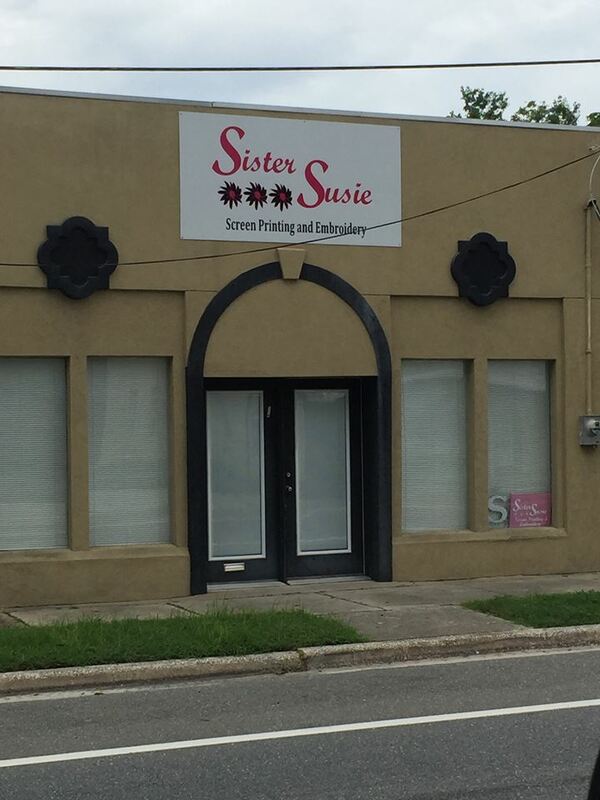 Sister Susie Screen Printing and Emboridery is a full service Tee Shirt company able to create custom Tee Shirts, Polo Shirts, Mouse Pads, Hats, Stickers, or just about anything you need personilized. We print and embroider shirts and hats. Every shirt is custom made to your order. We can work with your artwork or we can create something specific to meet your needs. We do not charge for Artwork, Screen Fees, Set Up Fees or minium orders. One shirt or hundreds, there is no minium or maxium.